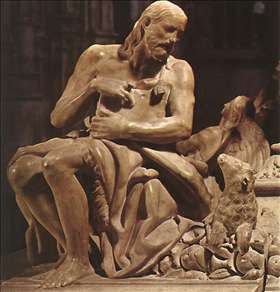 The first Spanish sculptor to show clearly the impact of the Italian High Renaissance. On stylistic grounds, he is presumed to have trained in Florence, perhaps with Andrea Sansovino, and in 1514-15 he was in Naples, working with Diego de Siloe on the marble reredos of the Caracciolo Chapel in the church of S. Giovanni a Carbonara. In 1517 he undertook part of the carved decoration for the choir of Barcelona Cathedral, executing in wood and marble a series of reliefs in a pure Renaissance style. 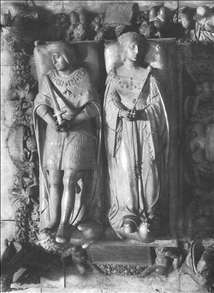 There followed a number of contracts for tombs, including that of Charles V s parents, Philip I and Juana of Castile, commissioned by Charles himself for the chapel royal at Granada. 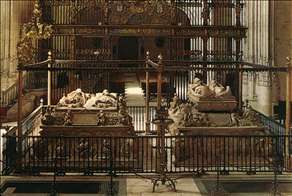 Ordñez died while carrying out these commissions with Italian assistants at Carrara; but his testament records that he had completed the greater part of the work, including most of the royal tomb. Although he died young (he was perhaps born c. 1490), his elegant and imaginative style was highly influential. See more details about "Tomb of Don Felipe and Doña Juana"